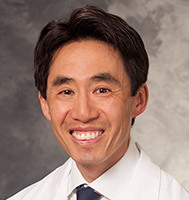 Dr. David Yang is a pathologist with UW Health in Madison, Wisconsin. Dr. Yang earned his medical degree from Loma Linda University in California and completed an internship at the Medical University of South Carolina in Charleston. Dr. Yang completed residencies at the Medical University of South Carolina and the University of Utah in Salt Lake City, as well as a fellowship in hematopathology at the University of Utah. Dr. Yang is board certified in anatomic and clinical pathology, hematology, internal medicine and pathology.